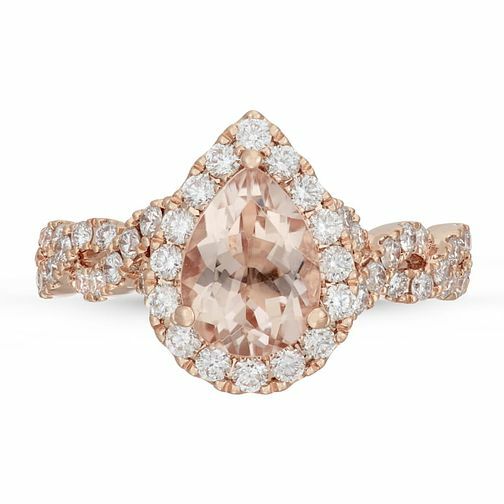 A distinct diamond ring that fuses several design influences together from Neil Lane, featuring a warm 14ct Rose Gold that perfectly matches with the pear-cut morganite centre stone. Sparkling diamonds add further lustre and a unique twist-design is used for the shoulders making a unique ring that will not go unnoticed. The total carat weight of all diamonds together is 0.69ct.